You are here: Home / Blogging / Why you don’t get to read those blogging failure stories? 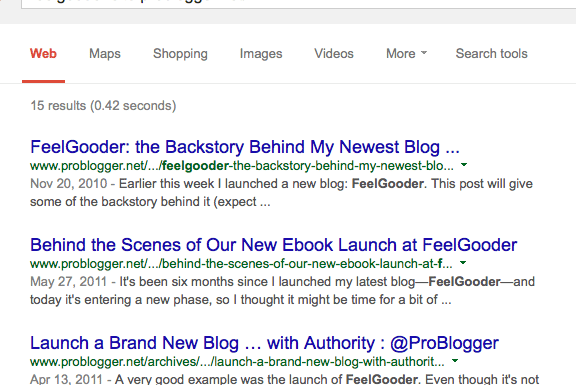 Have you ever read a story of a blogger that failed miserably? If yes can you share the same with me and if not have you asked why? You will read lot of success stories about blogging but there will be very few blogging failure stories that you will be able to find online and it is because of the nature of information floating on Internet. If the blogger has failed and still share the same online but then you will not be able to find it easily because the blogger failed for a reason that he was not able to generate lot of audience and readership to his blogs. Bloggers who are successful are because they have a very good audience and they are able to generate great readership to their blogs. If I take an example of Darren Rowse whom I have been following for as long as I have been blogging. I know he started a site call feelgooder and it was last updated on July 9, 2012 but back then it was being updated multiple times per day. Now it may not be a failure because it still has lot of great content but then if we compare the same with some of the other blogs that Darren Rowse owns, it may not be as successful as those. 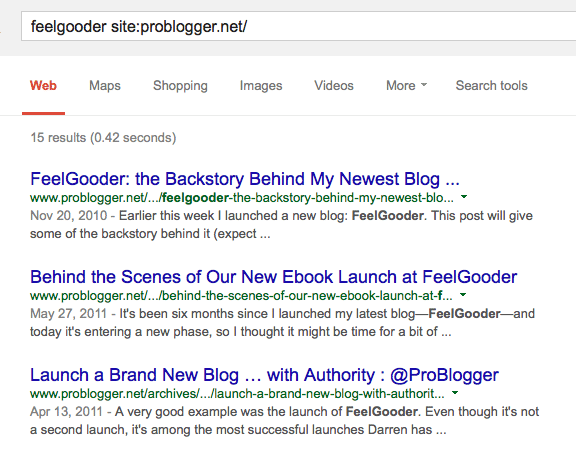 As of today on Problogger.net he has shared only 15 articles about feelgooder and that too mostly in 2010 and 2011 but for his successful blogs, like Digital Photography School, he has written about it more often. If I search in Google about blog failure stories or entrepreneurship failure stories or any such related terms, I don’t see anything related to failure stories but it is more often some guidelines about how to avoid failures. It means either there aren’t any such blog failure stories shared or if it is shared, it is not optimized for search ranking which could be yet another reason for blogger failure. It could also mean Google is very careful about the word failure because it was used as Google Bomb in 2005ish time. So if you read too many blog success stories about great blogs and bloggers, it is because either there is very little written about failure stories or it is because you are not able to search for such failure stories. On the flip side of the it, blog success is a personal thing. A blogger can be considered successful when they have a handful of readers and some other blogs aren’t considered successful until they have millions of readers but then if you just blog for fun, it is more likely to be successful from the out set.